Cream dupioni silk fabric tone on tone. Brand New High-End Dupioni Silk Fabric Yardage. 45 inches wide. I ordered and received swatches right away. The colors were exactly as described and when I ordered yardage it arrived fast and secure. 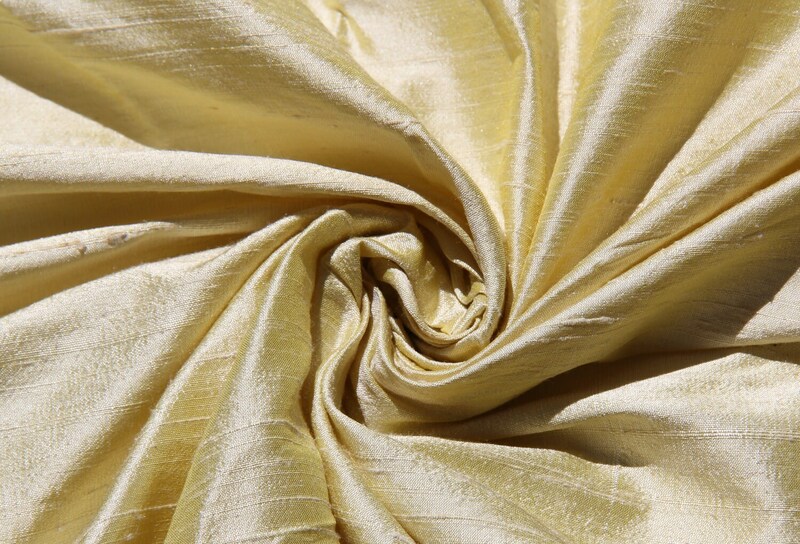 Very nice silk! good quality...as shown..ship quickly also. Warm, rich colour, with some apricot in it. Lovely feel. A very good quality for the cost. Just what I expected and very fast delivery. Will order again from this seller. Thanks so much again for your stellar service!